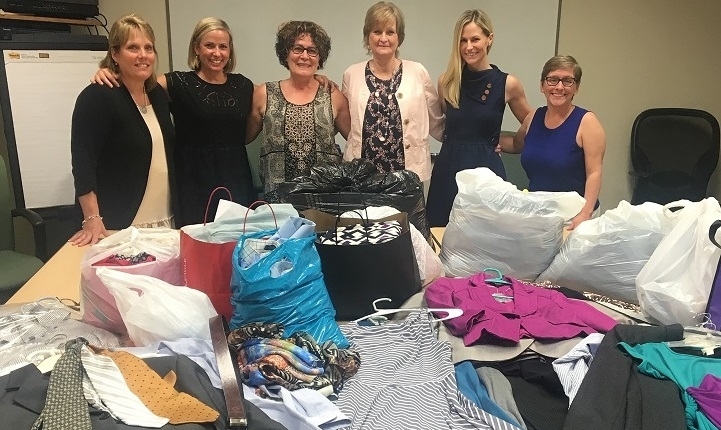 Henrico County is committed to making a positive impact on the community and giving back and serving the community is one way to foster overall wellness. The County gives permanent employees up to eight hours of paid volunteer leave each fiscal year to encourage employees to volunteer in the community. Henrico also encourages, and supports, group volunteer activities within departments/divisions/work sections. For more information on Henrico’s Volunteer Leave Policy, please refer to Policies and Procedures. Have you or your department/work group participated in a community volunteer project? Share your story with us and be featured on the page! Henrico’s ECS Division standing behind the clothes they collected for the Sheriff’s Office ORBIT program. All items will help rehabilitated inmates. The Department of Public Works volunteered by cleaning up the County’s waterways. 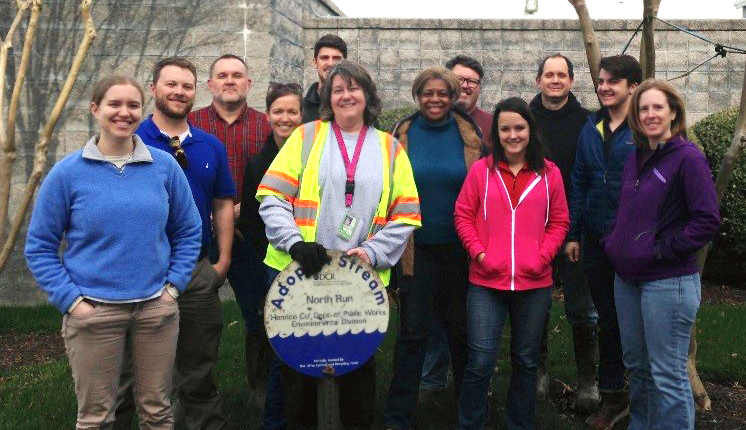 A group of employees got together and cleaned up an approximately 2,000-foot section of North Run bordering the Woodman Road Government Complex. Human Resources Division of Risk Management partnered with Community Revitalization to find a local Henrico homeowner in need of assistance. Staff members volunteered at FeedMore assembling applesauce cups and snack bags in association with the Legal Food Frenzy.